Wedding Packages Start at $625. Choose the Majestic Package below to begin customizing your price options. 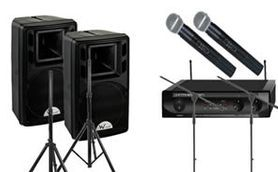 Includes set-up of a separate sound system designed for discrete operation at your ceremony. 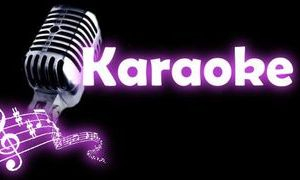 Includes 1 microphone for your officiate and an additional microphone with stand for readers or singers. Also includes a custom planning form designed to assist in picking your music and arranging the events of your ceremony to flow smoothly . King DJ's offers Custom Gobo Projection, which allows you to have your name, date, initials or message, projected on the dance floor, ceiling, or wall. 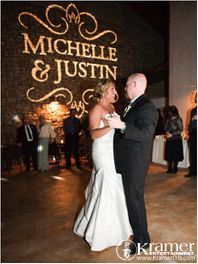 Enhance your wedding or event with a custom metal gobo. King DJ's has generic gobos for numerous occasions including: "Happy Birthday," "Merry Christmas," "Congratulations," "Happy Halloween," "Happy Anniversary,"
At King DJ's we except Visa, Master Card, American Express, Discover (Debit or Credit) Cash and company checks. We do not accept personal checks. You have the options to either pay in full or pay the deposit on this secure website after you have built your package. If you choose the option of only paying the deposit, the remaining balance will be due on the day of your event, if you have not yet paid the remaining balance on the secure website prior to your event. If you decide to pay the remaining balance on site on the day of your event, we will accept cash, credit or debit. You will also have the option to have your receipt emailed to you or texted to your mobile phone. King DJ's is listed on Party Blast, the premier online directory for hiring wedding and party services.